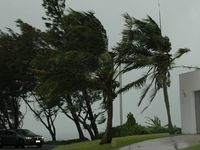 PREMIER Anna Bligh has warned Cyclone Yasi may bring catastrophic for Queensland's power transmission system. 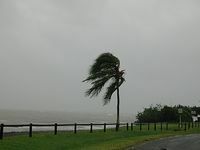 Speaking at a press conference tonight, she said Queensland's inland power transmission lines had never been put to the test of a Category 5 cyclone. "North Queensland itself has very little power generation," she said. 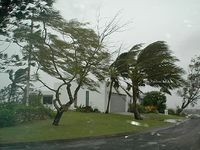 Premier Bligh explained to listeners that most of North Queensland's power came from Central Queensland and was transmitted along an inland spine, anywhere from 100km to 150km inland, behind Townsville and all the way to Cairns. A power transmission spine also carried power southwards on an inland route. She noted that six transmission spines were knocked out during Cyclone Larry - a Category 4 event. "The inland transmission system has never been tested at a category 5 level," she said. The loss of Queensland's power transmission spines could mean a "catastrophic failure of essential services", and would become an absolutely critical priority for remedy. "We would not be able to get electricity from Central Queensland to the north of our state," she said.